Two of President Obama’s own former Secretaries of Defense have publicly criticized his gross mishandling of the Syria crisis, which has emboldened America’s enemies and undermined our allies around the world. As ObamaCare continues to go into effect, step by step, its high costs and dire consequences for jobs have become ever more visible — as have the lies that Obama blithely told about its costs and consequences when it was rushed into law too fast for anyone to see that it would become a “train wreck,” as one of its initial Democratic supporters in the Senate has since called it. Politically, it doesn’t matter that the Republicans are not really trying to shut down the government. What matters is that this distraction solves Barack Obama’s political problems that he could not possibly have solved by himself. Should ObamaCare be defunded? Absolutely. It is an economic disaster and will be a medical disaster, as well as destroying the Constitution’s protections of American citizens from the unbridled power of the federal government. For that matter, President Obama deserves to be impeached for arbitrarily waiving laws he doesn’t like, in defiance of his oath of office and the Constitution’s separation of powers. Chief Justice John Roberts also deserves to be impeached for his decision upholding ObamaCare, by allowing the government’s taxing power to override all the Constitution’s other provisions protecting American citizens from the arbitrary powers of government. 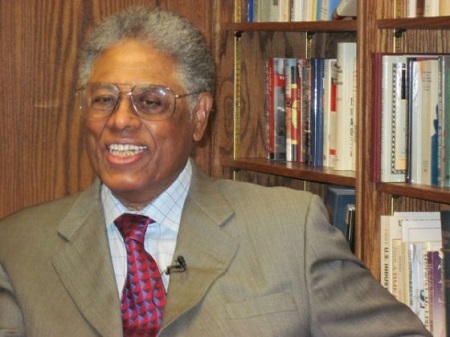 Thomas Sowell is a senior fellow at the Hoover Institution, Stanford University, Stanford, CA 94305. His website is: www.tsowell.com.